Fancy was 6 years old when I decided to show her. When she was 3, she measured approximately 13 1/2 inches. But, by the time I showed her, she was 13 inches plus a couple of hairs. She is my smallest champion to finish, and was one of the most fun to show. 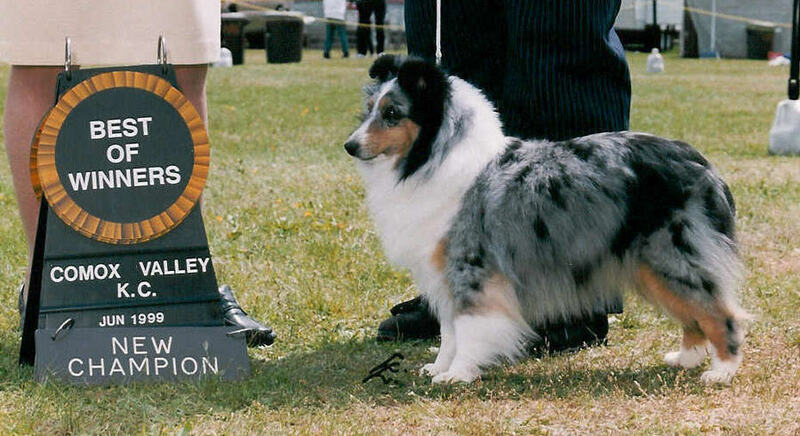 Fancy was owned by Brenda Muddle (Mudels Shelties). 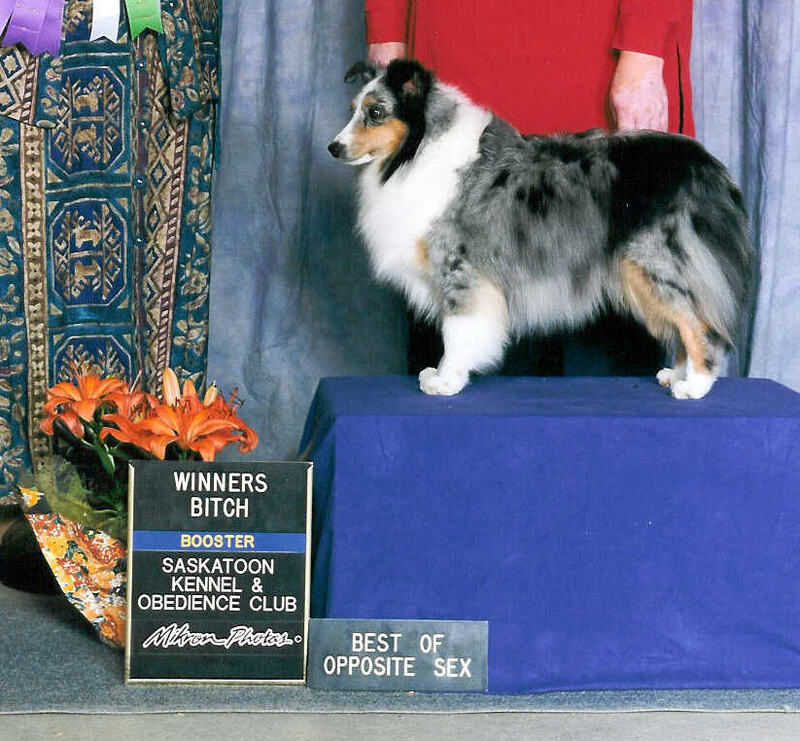 Fancy was BOS at the SKOC booster for her first points, breeder-handled. I then showed her to her next win of BW/BOS for 5 points over 37 Shelties! Thanks to Cathy Merrithew for showing her (top photo) to that finishing point.